I grew up by having my burger fixes in McDonald’s every day when I was a kid. Ask my mom! I always ask for it. I started out with burger Mcdo, eventually it turned to a Quarter Pounder and worked my way up to the heavy weight class wherein bigger is better. But it doesn’t end there! I’ve been eating burgers my whole life and I watched how they evolved from a being the cheese on the top of the patty to having the cheese inside the patty. But there’s one thing that I have been looking for! I want to have that unique and perfect burger! My objective is simple, seek out the best burger with a combined patty weight of which exceeds half a pound not only in the Philippines but in the world. Commercially available half-pounders out there like Wendy’s Baconator and McDonald’s Double Quarter Pounder are too.. shall I say…“LIGHT” for me. I generally graze (eating five times a day in small portions instead of three heavy meals a day) and eat like a bird, but I have a heavyweight appetite when it comes to burgers. So if you’re a burger freak like me then this blog is for you! 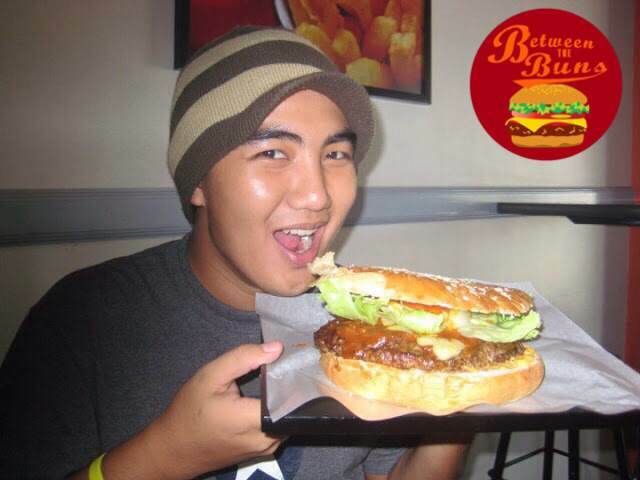 Join me in my quest to seek out those local and international burger joints and see who’s the best among the rest! How do we do that? Let’s check what is #BetweenTheBuns!